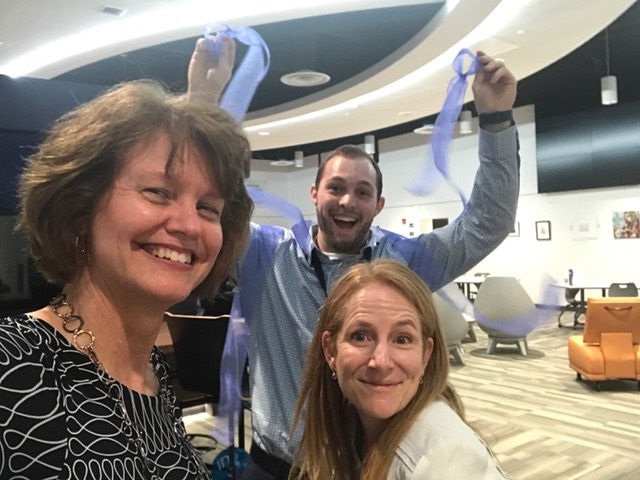 Last week I completed a really big goal – one that took three years and four months to reach (opening the first secondary school innovation center pictured above). As I sit here outside on our front porch opening day, spring is bursting out and my winter restlessness seems to be lifting a bit. Perhaps I have seasonal restlessness disorder. I guess it’s just my nature. It is nothing that a day doing yard work and gardening can’t remedy. I don’t know your whole story, but I’m assuming your two-year and four-month goal achieved was chemotherapy? Congratulations and I hope this comment finds you doing well. The goal I reached was opening the first secondary school innovation center called, “IN2.” It was not chemotherapy – DCIS protocol was lumpectomy followed by radiation or mastectomy.